I am ashamed to say that it has taken until this day for me to watch the WWE video about Brian Pillman. Claiming to be a die-hard wrestling fan and not seeing this critical documentary seems to be a contradiction, but after viewing it tonight, I can say that I look at Brian Pillman in a brand new light. Growing up as a fan of the Attitude Era and avid "Stone Cold" Steve Austin fan, I despised Brian Pillman and his raspy voice. I did not think he was a great wrestler or personality for that matter. Granted, I was seven years old, I still knew who and what I did not like. When he passed in late 1997, I ultimately thought it was a storyline, however, once I knew it was true, I was deeply saddened. I remember the exact moment where I was in my kitchen and my father told me when he returned home from work. After several minutes of convincing and seeing the opening credits for that edition of Raw, I mourned He was the first wrestler that had passed during my wrestling fandom. Getting back to the documentary, I had heard of the rough road Pillman had had growing up, but I had no idea that his father passed away when he was two months old. I knew about all of the throat surgeries, but I had no clue that he was as talented a hockey player as the film said he was. His prolific career at Miami University of Ohio, being a Second Team All-American only behind "The Fridge" William Perry, and his undying passion in the NFL for the Cincinnati Bengals is legendary to those in the Mid-West. His early career as a pioneer of the high-flying moveset in America as "Flyin'" Brian Pillman in World Championship Wrestling (WCW) was absolutely intriguing. The clips and ultimately the match of him with Jushin "Thunder" Lyger were breathtaking, especially for the time period. His crossbody, flying clotheslines, and picture perfect dropkicks made Pillman a fan favorite. Once Pillman teamed up with "Stunning" Steve Austin to form one of the WCW's greatest tag teams, The Hollywood Blondes, his career took off. The two most notably feuded with the likes of Shane Douglas, Ricky "The Dragon" Steamboat, Arn Anderson, and Ric Flair. After an incredibly successful run that surpassed anything Dusty Rhodes and WCW management had expected, the Blondes were broken up and ultimately, these two would meet up again in the WWE. Pillman and Austin took part in one of the most controversial segments produced in the WWE's long history. Austin 3:16 vs. Pillman 9mm gun. Classic. Pillman had a flare for the controversial and knew how to draw heat. His "Loose Cannon" persona blurred into his personal life and most people around him could not tell if his behavior was real or just an ultimate work. He was that invested and that damn talented. It's a pure and utter shame that his career was cut dramatically short with his countless ankle and back injuries. Obviously, the hardest part to accept was his heart attack that ultimately took his life, a life that was taken way, way too soon. One has to side with Jim Ross when he says that he believed, "Pillman died from a broken heart," when he was unable to perform at the level that he had in the past. He was only 35 years old. Pillman's legacy is one that can be viewed in so many different ways. He was an aerial mastermind. He was the toughest, scrappiest person to ever step foot in a wrestling ring or on a football field. He had a mind for the business that hadn't been seen since Roddy Piper in his prime. Pillman's character and his dedication to the character is second to none, where he could fool promoters, fans, and even his brethren in the locker room. Brian Pillman will be labeled as a pitbull, a nutjob, a psychotic personality, but he was a rambunctious, funny, intelligent, full-of-life man who loved his family and was looking to provide for them. When you look at the mark he made on the industry today, you don't have characters like Raven, Bray Wyatt, and most notably, fellow Cincinnati native Dean Ambrose. 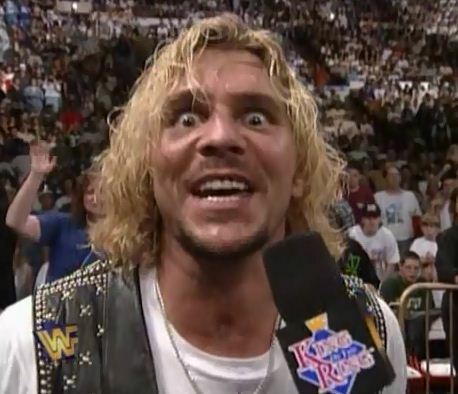 The characters that have this wild look in their eyes and this short-fused temper that could explode at any moment can easily be traced back to Brian Pillman. His moveset from the top rope was imitated on a daily basis for WWE and TNA superstars that are traveling the roads each night, just like Pillman loved to do. After viewing this documentary, my respect for Brian Pillman is through the roof and his story is inspiring beyond belief. The "Loose Cannon" was just that and he did is job better than most could have ever imagined. 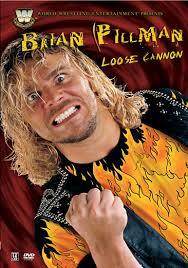 RIP Brian Pillman; you have been surely missed for the last 17 years.